As existing Maori businesses flourish and treaty settlements are completed, the Maori economy is growing rapidly. We’ve got the expertise to help your iwi or hapu further develop existing land assets, as well as to increase your economic base as Treaty settlement assets become available. With a long history of acting for Tauranga Moana iwi and hapu dating back to our founders, including HO Cooney and Ed Morgan after him, this legacy has now passed on to Murray Denyer and others in the firm who now care for these clients. In recent times this area of our business has grown and we now act for Maori businesses further afield. Ed Morgan is still remembered to this day by Ngati Ranginui and Ngai Te Rangi iwi for whom he acted, and these clients remind us often of the legacy he helped to create, including Te Awanui Whenua Trusts, which has today become the large corporate entity Te Awanui Huka Pak Limited, still owned by its collective of Maori trust shareholders.  We pride ourselves on being able to provide sound corporate and commercial legal advice, and we are sensitive to the particular dynamics of Maori collective ownership, tikanga Maori, and the particular governance issues that come into play. We have specialist expertise in advising Maori iwi and hapu trusts, and post Treaty settlement entities on commercial and corporate governance aspects of their investment businesses. Recent work includes acting for Te Arawa Group Holdings on a number of asset acquisitions, due diligence exercises, divestments, and lease negotiations. We’ve also acted for Te Awanui Huka Pak Limited in a major transaction with Seeka Kiwifruit Industries involving land and building sales and leases, company amalgamation, share issue and buy-back, and related bank financing. Agribusiness related Maori investment and land development. Asset acquisitions, investments, and related due diligence exercises. Structuring of entities to receive Treaty settlement assets and conveyancing of assets from the Crown into these structures. All aspects of commercial contracting.